We're sorry, Estately does not offer showings for this property. Some of the work has been done for you.Lot has an expired 3 bedroom septic design and lot appears buildable. Lot is on a gradual slope ideal for walk out basement and faces Westerly (close to Lake). Mostly wooded this lot is an ideal building site. Minimal site costs as some work has been done. Lovely Lake Ashuelot Estates welcomes you for you to build your 1st or 2nd home. Restrictions on RVs and camping but ideal for permanent building 3 season home or full year round home. Miles of trails nearby and wonderful lake and boating amenities go with this lot, come check it out. 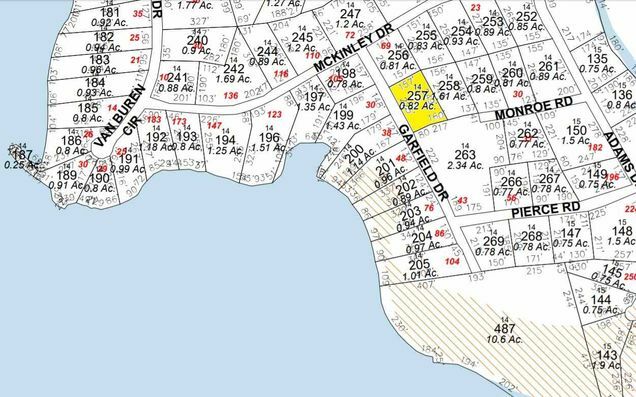 The details on 14-257 Garfield: This land located in Washington, NH 03280 is currently for sale for $14,900. 14-257 Garfield is a – square foot land with – beds and – baths that has been on Estately for 608 days. This land is in the attendance area of Washington Elementary School. Listing Courtesy of: NEREN and eXp Realty. © 2019 New England Real Estate Network, Inc. All rights reserved. This information is deemed reliable, but not guaranteed. The data relating to real estate displayed on this Site comes in part from the IDX Program of NEREN. The information being provided is for consumers’ personal, noncommercial use and may not be used for any purpose other than to identify prospective properties consumers may be interested in purchasing.